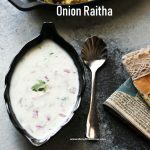 Onion Raitha is a Curd based side dish served with main courses like biryani or pulao. 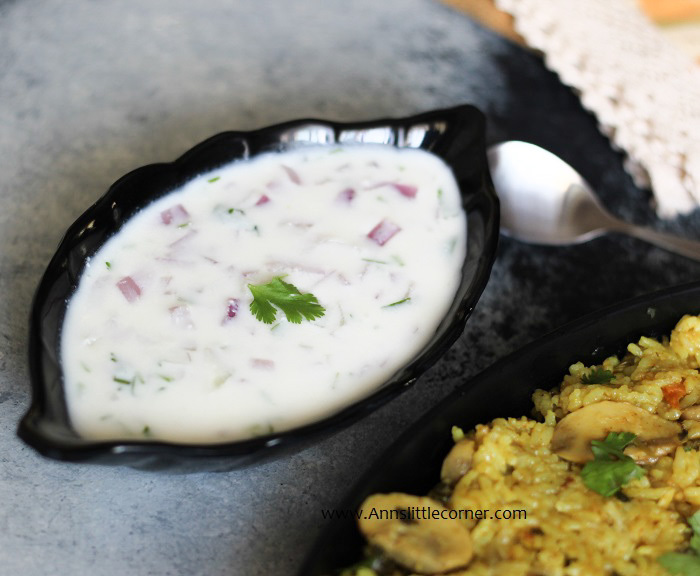 Chop the onion, coriander leaves and green chillis into smaller pieces. 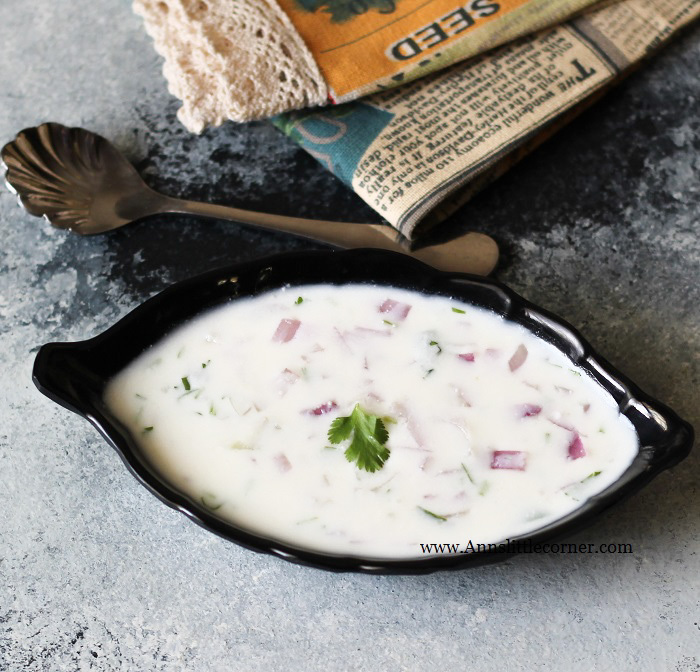 Add Onion, Coriander Leaves, Green Chillis and salt to taste into the curd and mix them gently. Raitha is now ready to serve. To serve the raitha to kids we may avoid green chillis. Raitha takes very little salt. So do not add more salt it would spoil the taste.